serious about freedom and liberty? as conducted by telecomm, it is possible to stop. The Pentagon's Quest for Nonlethal Weapons is Amazing. But is it Smart? A US News and World Report by Douglas Pasternak, 07-07-97. David Mattingly interviews Dr. Steven Aftergood from the Federation of American Scientists. Carole Smith, Journal of Psycho-Social Studies , Vol 2 (2) No 3 2003 .
by Don Justesen, American Psychologist, March 1975, pp. 391-401. Clyde E. Ingalls, N Y State J Med, 1967 Nov 15;67(22):2992-7.
by Allan Frey, Science, Vol. 181, 27 July 1973, pp. 356-358. Portions of José Delgado's book - incomplete. Excerpt from As Man becomes Machine, The Evolution of the Cyborg, by David Rorvik, 1973. Excerpts from author Texe Marrs book, Project L.U.C.I.D. Russian Scientist Tries to Rewire the Brain, a Newsweek article by Dorinda Elliott and John Barry, Aug. 22, 1994. Reading Your Mind - And Injecting Smart Thoughts, a U.S. News & World Report by Douglas Pasternak, Jan. 2000. By Stanley N. Wellborn, a U.S. News & World Report, Dec. 1983. By W.H. Bowart and Richard Sutton. Robert Naeslund, Lennart Lindqvist and Evamarie Taylor. By Timothy L. Thomas. From Parameters, US Army War College Quartery, Vol. XXVIII, No. 1, Spring 1998. By Robert J. Bunker, USAF. An Omega Foundation Summary & Options Report For the European Parliament, 6 Jan 1998. A Fortean Times article by David Guyatt. By Tom Jaski. Electronics magazine, Sept 1960. By C.B. Baker, Youth Action Newsletter, Dec 1994. "A nation can survive its' fools, and even the ambitious. But it cannot survive treason from within. An enemy at the gates is less formidable, for he is known and he carries his banners openly. But the traitor moves among those within the gate freely, his sly whispers rustling through all the galleys, heard in the very hall of government itself. For the traitor appears not a traitor--He speaks in the accents familiar to his victims, and wears their face and their garment, and he appeals to the baseness that lies deep in the hearts of all men. He rots the soul of a nation--he works secretly and unknown in the night to undermine the pillars of a city--he infects the body politic so that it can no longer resist. A murderer is less to be feared. "Cicero, 42 B.C., Roman Statesman, orator, and author. Chapter 15 of Dr. Robert Becker's 1985 book entitled "The Body Electric." A synthesis of the Russian Textbook on Psychopolitics. An article from The Phoenix Letter, Vol. 14, No. 8. By Greg Harrison, Oct. 26, 1997. Julianne McKinney's letter to chairman John Glenn. A collection of articles from Orvotron, The Bimonthly Newsletter. By Arlene Tyner, from the March-April 2000 issue (Vol. 7 No. 3) issue of Probe Magazine. A Glimpse Into The Heart of the Great Satan? By Captain Paul E. Tyler, Medical Commandant, U.S. Navy. By Leading Edge International Research Group. Lawsuit against the National Security Agency in Ft. Meade, MD. A three part series about electromagnetic weapons written by David Guyatt. 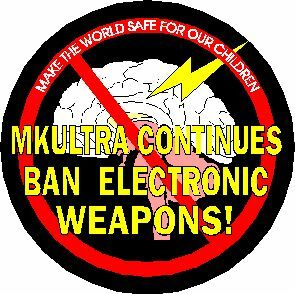 This page includes information on mk-ultra, the CIA, mind control, Operation Paperclip and the Nazis, the 1995 congressional hearings, the 2010 veterans vs CIA court case, Artichoke, the CIA Supreme Court cases, Ewen Cameron and the Sleep Room and the MK/Naomi project. CIA Tries Again to Duck Responsibility for Doing Drug Experiments on Veterans By MARIA DINZEO December 14, 2010 SAN FRANCISCO (CN) The Central Intelligence Agency in January will argue for dismissal of Vietnam veterans claims that the CIA must provide them with information about the health effects of chemicals used on them during Cold War-era human experiments. The CIA also claims it is not obligated to provide the veterans with medical care for side effects of the drugs. Its the CIAs third attempt to get the case dismissed. In a 2009 federal lawsuit, Vietnam Veterans of America claimed that the Army and CIA had used at least 7,800 soldiers as guinea pigs in Project Paperclip. They were given at least 250 and as many as 400 types of drugs, among them sarin, one of the most deadly drugs known to man, amphetamines, barbiturates, mustard gas, phosgene gas and LSD. Vets sue CIA, DoD over military experiments By PAUL ELIAS, Associated Press Writer 1/7/09 SAN FRANCISCO Six veterans who say they were exposed to dangerous chemicals, germs and mind-altering drugs during Cold War-era experiments filed a federal lawsuit against the CIA, Department of Defense and other agencies Wednesday. The veterans say they volunteered for military experiments as part of a wide-ranging program started in the 1950s to test nerve agents, biological weapons and mind-control techniques, but were not properly informed of the nature of the experiments. They blame the experiments for poor health and are demanding the government provide their health care. They also want the court to rule that the program was illegal because its administrators failed to get their consent.The suit, filed in San Francisco, alleges that at least 7,800 U.S. military personnel served as volunteers to test experimental drugs such as LSD at the Edgewood Arsenal near Baltimore, Md., during a program that lasted into the 1970s, and that many others volunteered for similar experiments at other locations. In virtually all cases, troops served in the same capacity as laboratory rats or guinea pigs, the lawsuit states. The suit contends that veterans were wrongfully used as test subjects in experiments such as MK-ULTRA, a CIA project from the 1950s and 60s that involved brainwashing and administering experimental drugs like LSD to unsuspecting individuals. The project was the target of several congressional inquiries in the 1970s and was tied to at least one death. Harf said that MK-ULTRA was thoroughly investigated and the CIA fully cooperated with each of the investigations. The plaintiffs say many of the volunteers records have been destroyed or remain sealed as top secret documents. They also say they were denied medals and other citations they were promised for participating in the experiments. They are not seeking monetary damages but have demanded access to health care for veterans they say were turned away at Department of Veterans Affairs facilities because they could not prove their ailments were related to their military service. In 1988, the Justice Department agreed to pay eight Canadians a total of $750,000 to settle their lawsuit alleging they suffered psychological trauma from CIA-financed mind-control experiments that included the use of LSD. CIA FILES Operation ARTICHOKE - BACM RESEARCH - WWW.PAPERLESSARCHIVES. About BACM Research PaperlessArchives.com BACM Research/PaperlessArchives.com publishes documentary historical research collections. CIA ARTICHOKE FILES Manchurian Candidate ARTICHOKE CIA Files ARTICHOKE was the CIAS cryptonym for the study and/or use of special interrogation methods that have been known to included hypnosis, drugs and total isolation. It grew out of the Agencys Operation BLACKBIRD and was a forerunner to the Agencys MKULTRA. Project ARTICHOKE also known as Operation ARTICHOKE was run by the CIAs Office of Scientific Intelligence. The project went deeper into interrogation methods studied in the CIAs Project BLUEBIRD. ARTICHOKE offensive mind control techniques experiments attempted to induce amnesia and highly suggestive states in its subjects. ARTICHOKE focused on the use of hypnosis, forced morphine addiction, forced morphine addiction withdrawal, along with other drugs, chemicals, and techniques. The main focus of the program was summarized in a January 1952 CIA memo, Can we get control of an individual to the point where he will do our bidding against his will and even against fundamental laws of nature, such as self-preservation? U.S. Supreme Court CIA v. SIMS, 471 U.S. 159 (1985) 471 U.S. 159 CENTRAL INTELLIGENCE AGENCY ET AL. v. SIMS ET AL. CERTIORARI TO THE UNITED STATES COURT OF APPEALS FOR THE DISTRICT OF COLUMBIA CIRCUIT No. 83-1075. Argued December 4, 1984 Decided April 16, 1985 .Between 1953 and 1966, the Central Intelligence Agency financed a wide-ranging project, code-named MKULTRA, concerned with the research and development of chemical, biological, and radiological materials capable of employment in clandestine operations to control human behavior. The [471 U.S. 159, 162] program consisted of some 149 subprojects which the Agency contracted out to various universities, research foundations, and similar institutions. At least 80 institutions and 185 private researchers participated. Because the Agency funded MKULTRA indirectly, many of the participating individuals were unaware that they were dealing with the Agency. Operation Paperclip CIAs Denial of Protecting Nazis is Blatant Lie (Part 1) by Hank P. Albarelli Jr. Leaks or revelations are often more compelling because of what they dont reveal. Through Operation Paperclip, the U.S. organized a monumental transfer of black technology by actively recruiting Nazi scientists guilty of war crimes for employment by U.S. intelligence. In his three-part investigation, author H. P. Albarelli dredges up the part that was omitted from the recently-outed official report: the U.S. pointedly chose fervent Nazi scientists with experience in chemical, biological and radioactive warfare to become the architects of the CIAs darkest military experiments involving human guinea pigs, as was the case in Nazi Germany. On 11 November 1954, thirty-nine of the German-born scientists who entered the United States through Project Paperclip were sworn in as U.S. citizens. Military Intelligence cleansed the files of Nazi references. By 1955, more than 760 German scientists had been granted citizenship in the U.S. and given prominent positions in the American scientific community. Many had been longtime members of the Nazi party and the Gestapo, had conducted experiments on humans at concentration camps, had used slave labor, and had committed other war crimes. 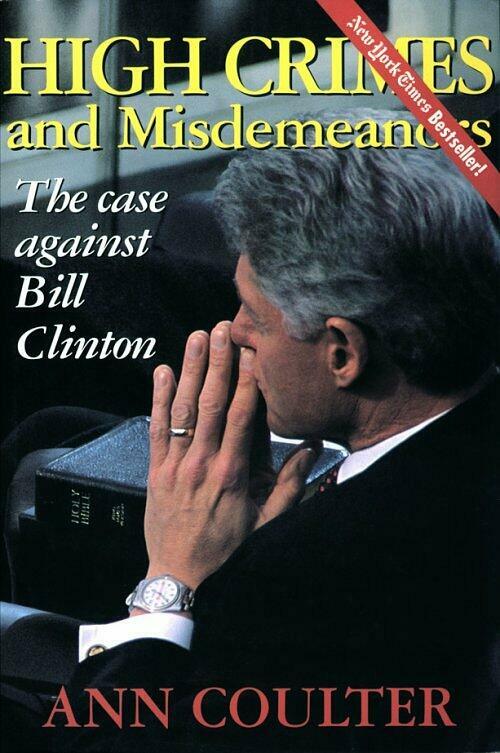 The article focused on a 600-page secret report that had been produced by the U.S. Justice Department. The report, which Justice Department officials had suppressed from public release for years, details the American governments importation into the U.S., following the end of World War II, of countless numbers of Nazis. Written in a dry, bureaucratic style, the report recounts a number of examples of well-known Nazis to whom both the CIA and Department of State had provided both shelter and employment to, including Adolph Eichman, Otto Von Bolschwing, Dr. Josef Mengele, and Arthur Rudolph. To the purposes of this article, it is important to underscore here that the long-concealed report makes no mention whatsoever of the many Nazi scientists who specialized in chemical, biological and radioactive warfare and who were secretly relocated in the United States between the years 1946 and 1958. Morgellons and the CIAs MK/NAOMI Project (Part 2) by Hank P. Albarelli Jr., Zoe Martell Why is it that the U.S. state apparatus is standing in the way of any serious medical investigation into Mogellons disease? For the simple reason that it would inexorably lead to the covert biological war programmes of the 1950's. Hank Albarelli lifts the veil on a period which may not necessarily be over when the military-industrial complex proclaimed to safeguard the free world while testing new experiments on the civilian population that it purported to protect; a period when members of the medical profeen the CIA decided to waterboard suspected terror detainees in overseas prisons, the agssion including the CDC developed diseases that they should have been preventing but which they used instead to contaminate the very people they were supposed to protect. - To provide for a covert support base to meet clandestine operational requirements. - To research, develop, and stockpile severely incapacitating and lethal materials for the specific use of CIAs Technical Services Division. - To maintain in operational readiness special and unique items for the dissemination of biological and chemical materials. - To provide for the required surveillance, testing, upgrading, and evaluation of materials and items in order to assure absence of defects and complete predictability of results to be expected under operational conditions.